Jennifer Gaines: Are we going to move again? Maybe I'm too old for the MTV giggle-cam style of photography, but I don't want to be distracted, and irritated, by the rapid and broken splices of film that dominated the first 20 minutes, or so. If that's the only way modern directors have to portray chaotic events, then they need to go back to film school. (et tu, The Bourne Supremacy?) Furthermore, the film failed to make me care about any of the characters. The main thing I learned about the kids...they're ugly when they eat. 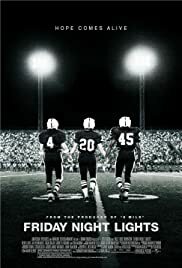 Friday Nights Lights is about kids, (lacking storyline characterization) living in a football obsessed town, learning how to win at football. 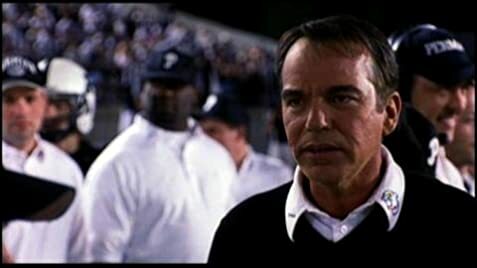 Remember The Titans is about kids, (deeply defined), living in a football obsessed town, learning how to win at life. No comparison.